Commission amount: 30%. For cash-back portals there is a 10% commission. 50 v 1. 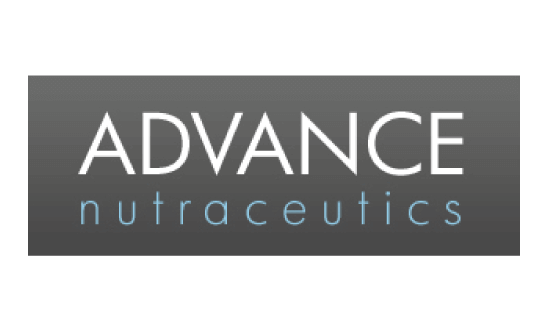 This is our new campaign ADVANCE nutraceutics where you´ll find more than 45 different products. Each product has also its own landing page. For the entire product portfolio, see nutraceutics.sk. You can route your traffic up to 50 domains (49 product pages + homepage with a basket). The commission is calculated from the total order irrespective of which product you target amd which product the customer finally chose. Aloe ADVANCE is a nutrition complement from 100% Aloe Vera juice of the highest quality with BIO certification. Colostrum ADVANCE is a nutritional supplement containing high quality premium colostrum with the highest content of immunoglobulins IgG in 1 capsule. Trimyco.sk – Reishi, Cordyceps, Mushroom Trimyco is a complex nutritional supplement containing a unique combination of Reishi (Ganoderma lucum), Cordycepsu (Ophiocordyceps) and Oyster Mushroom (Pleurotus ostreatus) extracts. Tribul.sk – erection support Tribul is a complex nutritional supplement for erection quality promotion. It contains a unique combination of 9 active substances unique on the Slovak market. Graviola ADVANCE is a unique nutritional supplement containing a concentrated extract of graviola berries of premium quality. A chilling gel containing cannabis and 5 other natural extracts. Active substances contained in the gel help a feeling of immediate relief. Economic packing – 250 ml. Coconut oil ADVANCE is virgin coconut oil of premium BIO quality. Matcha ADVANCE is matcha tea of the highest ceremonial grade with BIO certification. Maca ADVANCE is a unique nutritional supplement containing a highly concentrated Maca (Lepidium meyeni) root extract. Spirulina ADVANCE contains 100 % pure spirulina of premium BIO quality. Capsules are carefully pressed and contain neither binding agents nor other additives. Dermavit is a nutricosmetic skin care formula which is quite unique in Slovakia by its complex composition. The natural ingredients collagen, hyaluronic acid, Coenzyme Q10, methionine, Aloe vera, common sea buckthorn (Hippophae rhamnoides), and others promote the utmost synergistic effect. Dermavit is a rich source of plant extracts, vitamins, and other natural substances. Chlorella ADVANCE contains 100 % pure Chlorella pyrenoidosa of premium BIO quality. Capsules are carefully pressed and contain neither binding agents nor other additives. Renovix is a natural nutricosmetic formula containing a unique combination of plant extracts, vitamins and other natural ingredients that help treat your hair “from within“. The natural active ingredients promote growth and maintenance of naturally beautiful and healthy hair. Urixin is a nutritional supplement for active urinary tract care. Urixin contains a combination of 6 active ingredients unique on the Slovak market. Probiozym.sk – for good digestion! Probiozym contains natural ingredients that contribute to normal activity of the digestive system and intestines, thereby promoting healthy digestion. Probiozym contains a combination of 6 active ingredients unique on the Slovak market. Cholesten is a nutritional supplement that contributes to maintaining normal cholesterol levels. It is quite unique in Slovakia by its composition containing a combination of red rice and omega 3 fatty acid extracts. Flextor is a unique joint formula for complex joint care. It contains a combination of 7 active ingredients. Garsin.sk – Your assistant in losing weight! Garsin contains a combination of natural ingredients to promote fat metabolism and body weight control. It is a natural formula intended to promote weight loss as a supplement to physical activity and proper diet which are naturally fundamental. Garsin contains a combination of 8 active ingredients unique on the Slovak market. Diaben contains natural ingredients that contribute to maintaining normal blood sugar levels. Diaben contains a combination of 3 natural ingredients unique on the Slovak market – Gurmar, alpha-lipoic acid, and cinnamon extract. Modin contains a unique combination of natural ingredients to promote psychic and mental balance. It contains a combination of 6 active ingredients based on high-quality St. John´s wort (Hypericum perforatum) extract. Menoxin is a complex nutritional supplement. The natural active ingredients promote comfort in menopause and its manifestations. Moringa ADVANCE contains a 100 % pure moringa leaf extract of premium quality. Capsules are carefully pressed and contain neither binding agents nor other additives. MenActive is a complex nutritional supplement to promote testosterone levels. MenActive contains a combination of 8 active ingredients unique on the Czech market. Prostalex contains a combination of natural ingredients that contribute to normal function of the prostate, the bladder and the urinary tract. Prostalex contains a combination of 4 active ingredients unique on the Slovak market. Probio24 is a unique probiotic nutritional supplement containing 11 resistant probiotic strains, probiotic, and 33 billion live cultures in the daily dose. Candix contains a unique combination of natural ingredients, thanks to vitamin C it promotes immunity and is suitable in anti-candida diet. Hemoxin is a nutritional supplement containing a unique complex of 5 natural active ingredients with high hesperidin and diosmin content for healthy veins and blood vessels. BrainActive contains a combination of 13 active ingredients unique on the Slovak market. The natural ingredients contained in BrainActive promote memory, concentration, mental performance, cognitive abilities, and energy. Imunax.sk – support your immunit! Imunax contains a combination of natural ingredients to promote immunity and striking power. Imunax contains a combination of 11 active ingredients unique on the Slovak market. DetoxActive contains a unique combination of natural ingredients to promote the body detoxication. DetoxActive is quite unique in the Slovak Republic by its composition. This is a combination of green foods of chlorella, spirulina, barley grass and young wheat, and other natural ingredients for the utmost synergistic effect. Calmin contains a combination of natural ingredients to help calm and relax the body, act favourably whilst falling asleep, and promote peaceful sleep. Calmin contains a combination of 7 active ingredients unique on the Slovak market. Liverax contains a unique combination of natural ingredients to promote normal function and health of the liver. It is based on Saint Mary´s thistle (Silybum marianum) extract of the strongest concentration available. The extract contains 80% silymarin considered the primary biologically active ingredient. Jačmeň ADVANCE contains 100 % barley grass leaf extract powder to prepare drink. It is young barley of high quality. Tenzin is a nutritional supplement to promote healthy heart and normal blood pressure. Tenzin contains a combination of 8 active ingredients unique on the Slovak market.